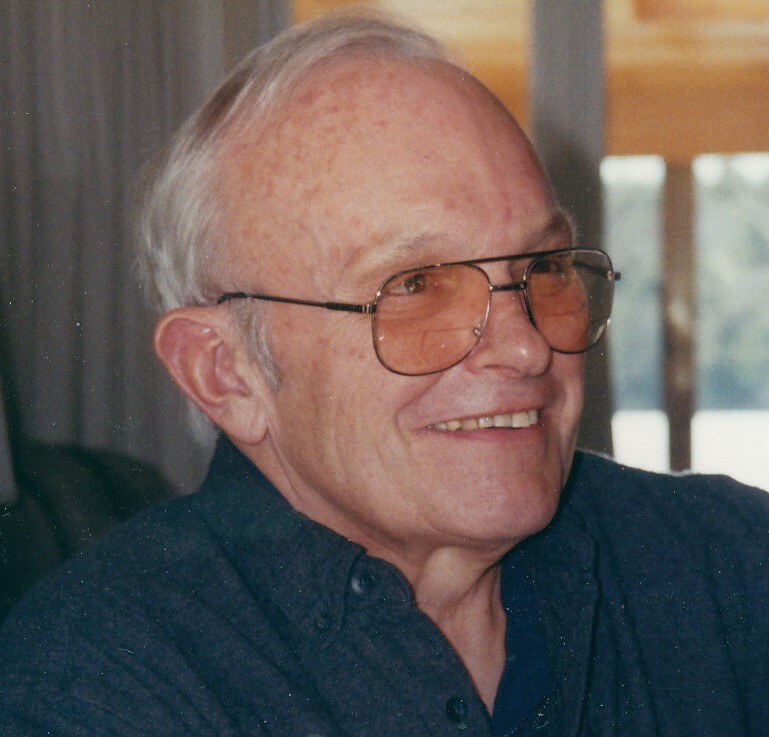 FARMINGTON - Stanley Christian Hapeman passed away peacefully on April 7, 2019, at the age of 84. Stan was born March 31, 1935, to the late Florence (Rasmussen) and Stanley E. Hapeman in Poughkeepsie, N.Y. He attended Red Hook schools and graduated in 1953. Stan went on to study at the Long Island Agricultural and Technical Institute. After graduation, he held various positions throughout his career with IBM Corp. in New York and retired in 1990. Stan and his beloved wife, Bea, moved to Mt. Vernon in 1995. His home and camp lot overlooked Flying Pond. He was at his happiest entertaining family and friends with boat rides, fishing, tubing, and water skiing. His grandchildren delighted in swimming off the dock, hunting for crayfish, finding mint to eat, and evening campfires. Those memories will be cherished. Stan volunteered his time as a photographer and maintained the website for Town of Mt. Vernon Fire Department. He also enjoyed painting with watercolors. On June 29, 1979, Stan married Beatrice, who predeceased him in 2015. He always missed her. He is survived by four children: Deborah Easton and her husband Thom Sandwick of Pleasant Valley, N.Y.; Robert Hapeman of Hesperus, Colo.; CarolAnne Lovato of Lakewood, Colo.; and Ellen Colgan and her husband Thomas of Staatsburgh, N.Y.; his seven grandchildren and two great grandchildren; sisters Jeanette Trip of Long, S.C., and Linda Knoll of Albany, N.Y.; and a brother, Jon Hapeman of Clinton Corners, N.Y.
A funeral service will take place on Saturday, April 20, 2019, at 10:30 a.m. at Trinity Episcopal Church, Route 9W Saugerties, N.Y. Interment will directly follow at St. Paul’s Lutheran Cemetery in Red Hook. This summer a memorial service will be held at the North Vienna United Methodist Church. An announcement will follow with details. Condolences and tributes may be shared with his family on his memorial wall at www.wilesrc.com. Cremation care and memorial services are being provided by the Wiles Remembrance Center/Adams~McFarlane Chapel, 137 Farmington Falls Road, Farmington, ME.